With their big eyes seals seem to be looking straight into the hearts of onlookers. That some of these animals are blind is something most people never thought about. The Marine Mammal Center in San Francisco has been successful in giving some of these seals their vision back thanks to cataract operations. 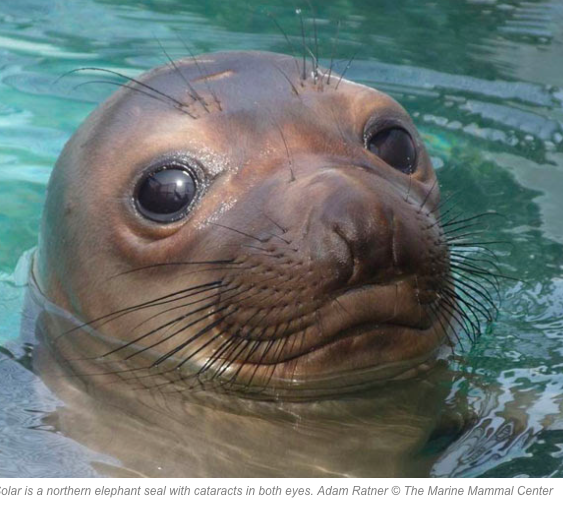 “When Solar the northern elephant seal arrived in our care, he appeared to be just another young, malnourished animal. But when our veterinary experts took a closer look, they realized he was blind in both eyes due to cataracts that may have been congenital, meaning he was born with them. If this story sounds familiar, that’s because it is. 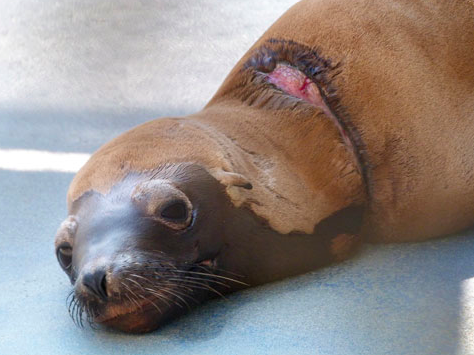 Just a year ago, you may remember we rescued and treated another young, blind elephant seal: Cappy. After successful cataract surgery, Cappy was able to return to the wild. He’s since been spotted several times and seems to be thriving. Using what we learned from Cappy’s case, our veterinary team is working hard to ensure a similar future for Solar. “Add Some Fun to Your Run! Wear a costume on Saturday, August 16, 2014, for The Marine Mammal Center’s 30th Anniversary Run for the Seals!What could be more fun than a charity run/walk with your dogs, friends and family? Doing it in costume!Put on your best ocean-inspired outfit and celebrate your love for the seals by joining our 30th Anniversary Run for the Seals fundraiser on August 16. 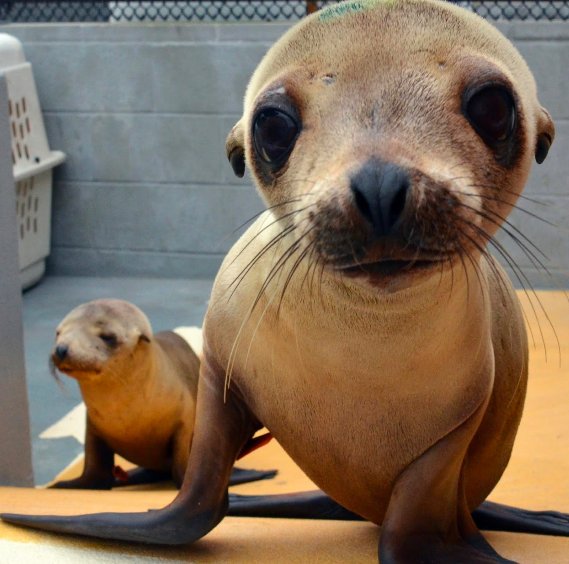 Sign up today for this one-of-a-kind fun run/walk that benefits the seal and sea lion patients at The Marine Mammal Center. If you are in the San Francisco Bay area on August 16th, 2014 you can support the charity drive. 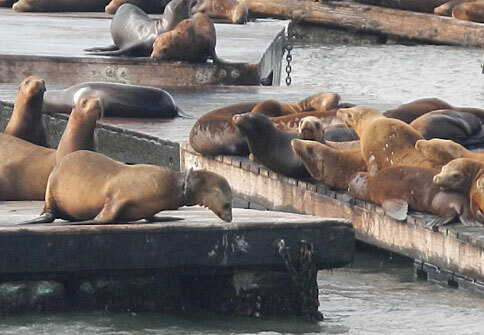 One of the big tourist attractions in San Francisco is Pier 39 – and that is mainly because of the sea lions.